It was Labor Day weekend. 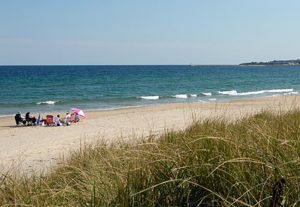 Jo Ann and Tom, true loves who had found each other later in life, were having a romantic end of summer weekend with their some of their best friends at one of the favorite places, Block Island, a small, laid back out-of-the-way place just off the coast of Rhode Island. Unknown to everyone, a tiny killer was lying in wait in the tall grasses along the dunes, so tiny it is often hard to see with the human eye. This is the black-legged tick, also known as the deer tick. As Jo Ann and Tom bar hopped amid love and laughter with their friends, the tick was already doing its deadly work. 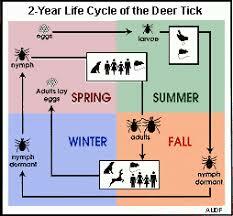 Deer ticks are not murderers. They are just living out their life cycle like any other organism, but the result of this is rapidly becoming a world-wide problem. Ticks carry many diseases, one of which is Lyme Disease, named for Lyme, Connecticut, where it was diagnosed in 1975. It mimics so many other problems that it was first thought to be juvenile rheumatoid arthritis! Lyme Disease is in every state in the U.S., including Hawaii and Alaska, and in all European countries, Asia and the Americas. Caught early, it can be contained, but unlike many other diseases, getting Lyme Disease does not give a person immunity. Tom began having not so serious different problems. The diagnosis wasn’t clear. Finally, not only did he have Lyme Disease but some other tick borne diseases as well. Tom and Jo Ann fought it tooth and nail. They also decided to go on with their great life, entertaining, traveling, knowing the disease was taking its toll but believing Tom could recover. Then even more devastating news hit – maybe it was incurable ALS. 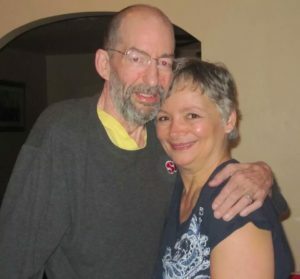 They went to the best doctors and discovered there was a tenuous connection between Lyme Disease and ALS. In the end, Tom succumbed, leaving Jo Ann devastated but ever so grateful for having had wonderful years with the love of her life. 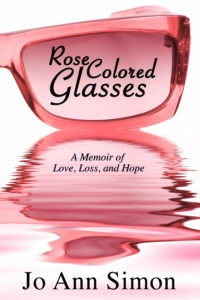 You should read her story, Rose Colored Glasses, just published. You can request it at any bookstore or order it from Amazon. And listen to her and absolutely do all the things to protect yourself when you are in deer tick areas. Thank you so much! This is a beautiful piece. It is important to spread the word so everyone will protect themselves and their family and pets from ticks. Well done. Thank you for shedding light on Lyme disease.